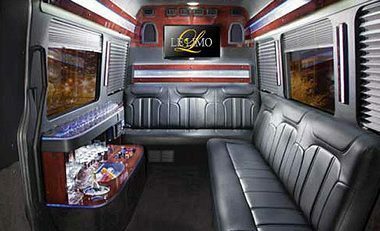 When it comes to party buses, Le Limo leads the way in fun. Scoring an 11 on the excitement scale, we offer a wide selection that are sure to suit the needs for your event. 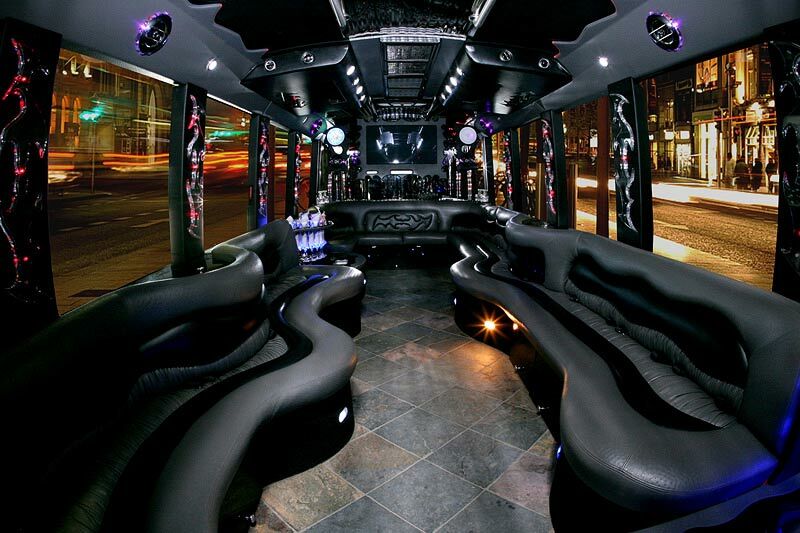 Le Limo’s fleet of party buses may be more entertaining than the actual event. 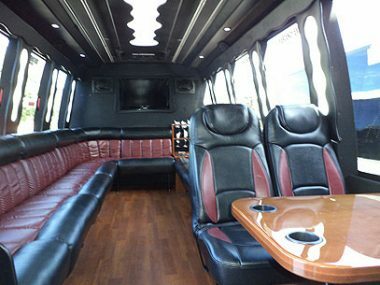 All of our party buses have luxurious leather interiors, surround sound stereos, built in bars, DVD/CD combos, intercom systems. 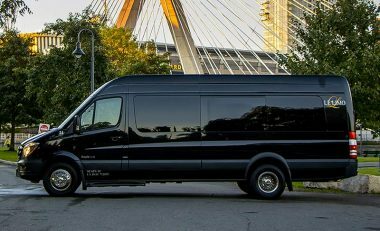 Holding anywhere from 12-40 passengers, other amenities in some vehicles include: LED TVs, touch screen control panels, fiber optic lighting, a solid divider for privacy, laser lights, fog machine, dance polls, strobe lights, rest rooms, VIP lounge and more. Celebrity 1 Land Yacht seats up to 28 passengers. This Land Yacht comes with all the following amenities: LED lighting in bars and ceiling, ice bins and glass holders. 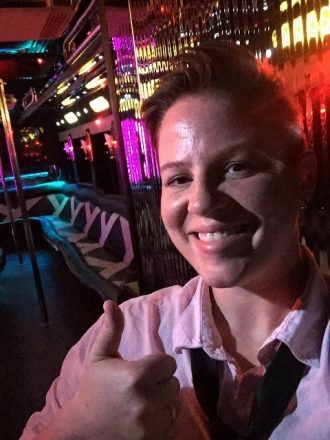 Fiber optics in all bars, 4 Laser lights, 8 strobe lights, floor lights and halo ceiling lights, top of the line Alpine components with audio control panel and IPOD hook-up. Wood design floor with 2 dance poles. Celebrity 2 Land Yacht seats up to 40 passengers. 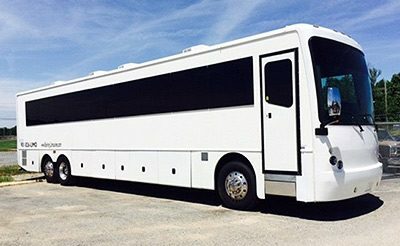 This Land Yacht comes with all the following amenities: Separate Rear VIP section with its own big-screen TV, on-board bathroom, LED lighting in bars and ceiling, ice bins and glass holders. Fiber optics in all bars, 4 Laser lights, 8 strobe lights, floor lights and halo ceiling lights, top of the line Alpine components with audio control panel and IPOD hook-up. Wood design floor with 2 dance poles. 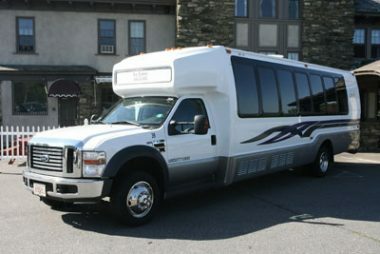 Our 16-18 passenger Cabin Cruiser party bus has luxurious leather interiors, surround sound stereos, DVD/CD combos, intercom systems, 40” LCD TVs, touch screen control panels, fiber optic lighting, and a solid divider for privacy. 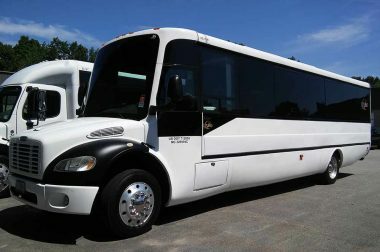 Our 28 passenger Luxury Liner party bus has luxurious leather interiors, surround sound stereos, DVD/CD combos, intercom systems, 40” LCD TVs, touch screen control panels and fiber optic lighting.